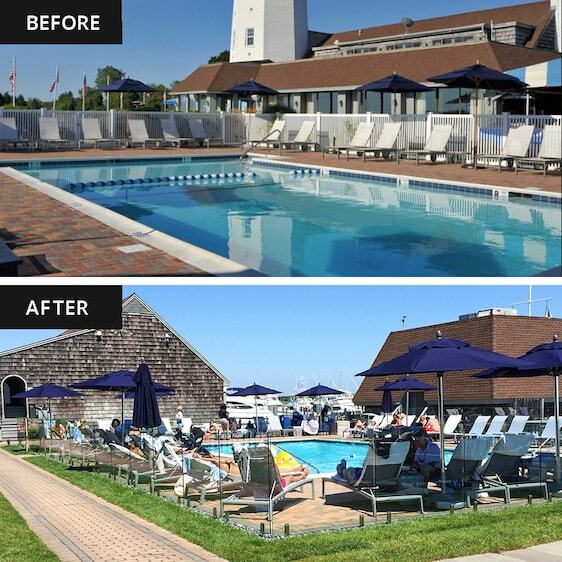 Montauk Yacht Club Resort & Marina is an award-winning Hamptons hotel located on the shores of Long Island’s South Fork. For 80 years this iconic hotel has been a favorite destination for travelers, and is described as “rich in history, yet recently refreshed for a new era of guests.” The recent renovation includes the two outdoor pool decks. 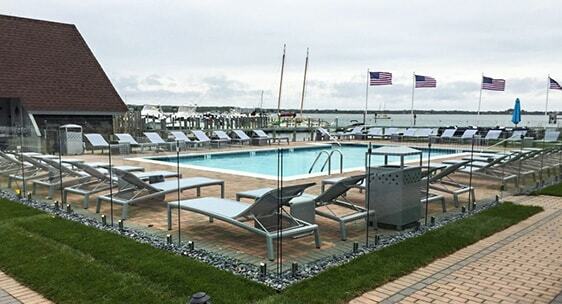 Here, the existing white vinyl fence was replaced with 325ft of our frameless glass pool fence system. This simple renovation instantly modernized the resort and fits perfectly with its “coastal luxury” aesthetic. The durable tempered glass and stainless steel enclosure is built to withstand the New York seasons while maintaining the beautiful waterfront views.